There's nothing quite like a perfect sunny day in winter, and we have been having a lot of them recently in Sydney. 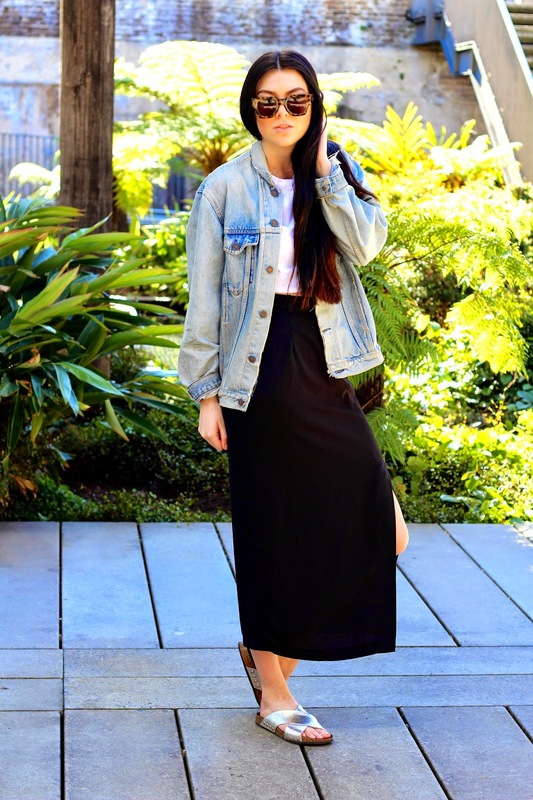 It's the perfect temperature for pulling out your favourite maxi skirt, a crop, and denim jacket. 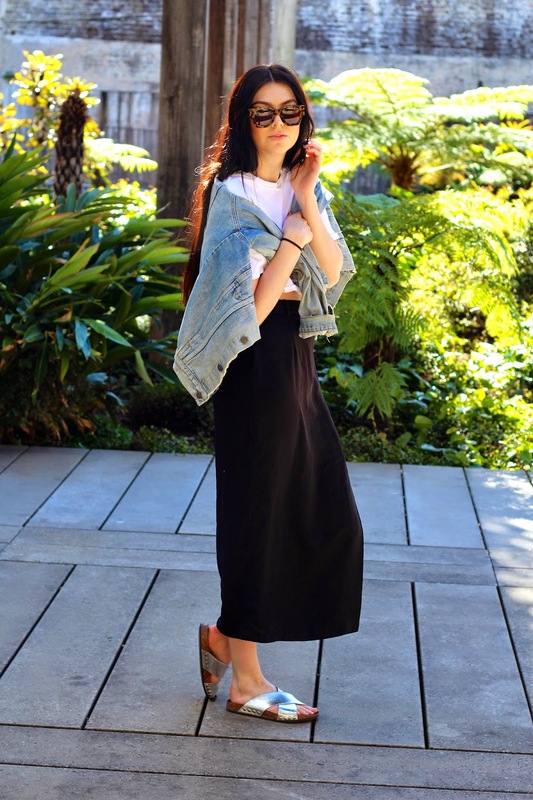 This skirt is one of my absolute favourites, it fits me like a glove, and is so versatile. I found it in an op-shop a few years back, which makes it even better. My denim jacket is also another one of my most loved vintage finds. This one is ripped and worn in so perfectly, it looks like I've had it for over 10 years. Let me know what are your favourite vintage finds?